The new sparkling Eau de Toilette for a woman who does not take herself seriously. An amazing accord between sparkling pear, luminous peony and almond blossom, and feminine orris. 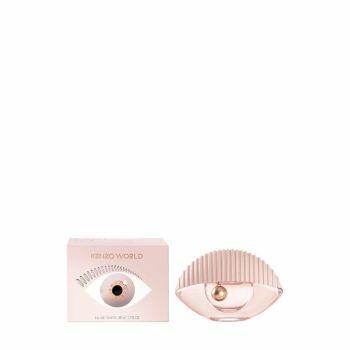 Like Kenzo fashion, the iconic eye-shaped bottle is dressed in an unmistakably fresh pink shade. Kenzo World Eau de Toilette, the fragrance for a joyful and mischievous woman.